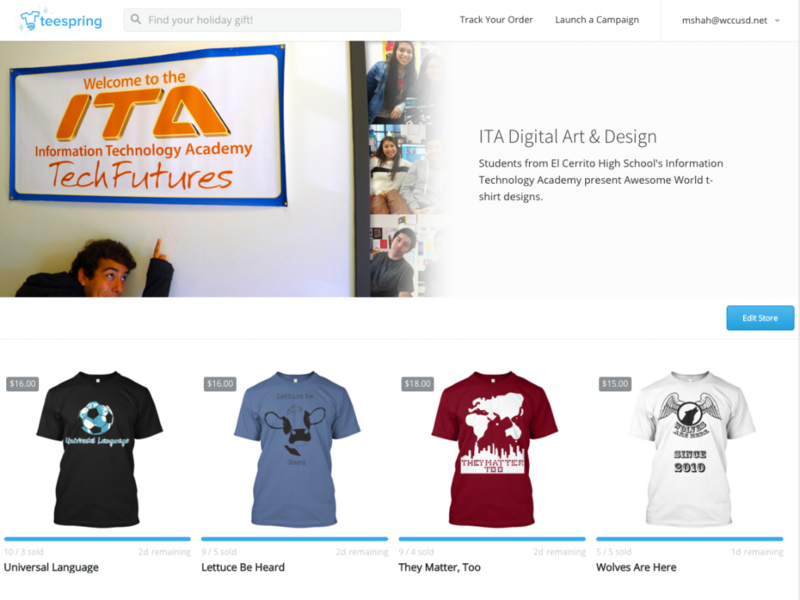 Now is the time to reserve your Awesome World t-shirt designed by El Cerrito High School ITA sophomores. There are a few days left to make a purchase. Proceeds go to the sophomore ITA class. Most campaigns end this Thursday, December 3rd.